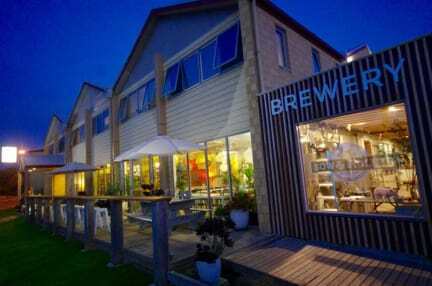 Port Campbell Hostel is a modern, award winning hostel located on Victoria’s Great Ocean Road, only a 10-minute drive from the iconic Twelve Apostles and a 3-minute walk from the beach. We are proud to announce the addition of our Sow and Piglets Microbrewery and bar from 2017, which makes us the only hostel with a Brewery in Australia. The hostel and brewery was created to give the Great Ocean Road traveller, a fun, friendly place that they can call “home” for a night or two, and as we like to say in our hostel, “one night is not enough”. Whether your plan is to explore Port Campbell and its surrounding areas, meet new travellers, or just take a break from your adventures, our friendly staff will make sure you have an awesome and comfortable stay. Port Campbell Hostel is a very nice, very clean and friendly hostel. The atmosphere is very nice and relaxed. I stayed there for just one night with a group of friends, but it was perfect for our needs. The only this is: MAKE SURE YOU BRING FOOD WITH YOU! Shops close very early and you can't get a decent meal if you arrive after 8. In an emergency, you can buy pizza for 10$ at the hostel, but only until 8:30 pm, so make sure you are prepared.